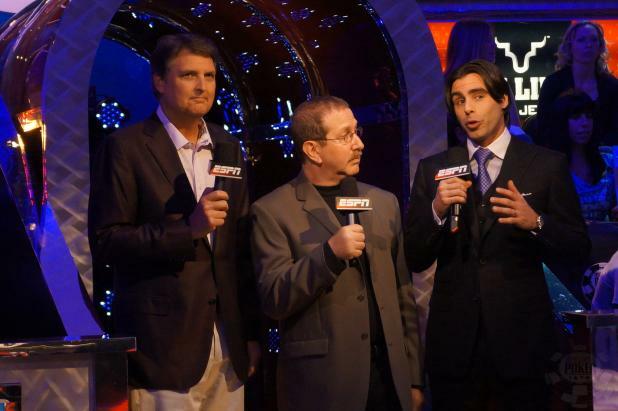 Lon McEachern (left) and Norman Chad (center) listen in as Olivier Busquet (right) talks about the upcoming Big One for One Drop final table. Originally Lon and Norm were to be joined by Antonio Esfandiari in the booth. 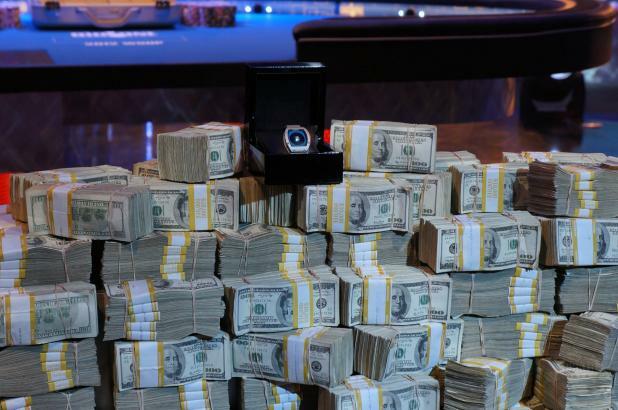 However, Esfandiari is chip leader at the Big One final table, so Busquet stepped in.